Have you ever had trouble explaining to your family and friends what exactly you do for a living? Marketing? So, you go door to door, like a salesman? Again, no. The term marketing is a bit all-encompassing, so the definition always feels like it doesn’t do justice to it. In this post we'll break down what is marketing, the different types of media and how you can integrate them in your digital marketing strategies; why having a marketing strategy is not the same as a marketing plan, a brief run-through of the inbound marketing funnel, followed by whether you can take your marketing efforts in-house and lastly the do's and don'ts of marketing and the marketing skills you need to be an expert in your field! According to the American Marketing Association (AMA) Board of Directors, Marketing is the activity, set of institutions, and processes for creating, communicating, delivering, and exchanging offerings that have value for customers, clients, partners, and the society at large. 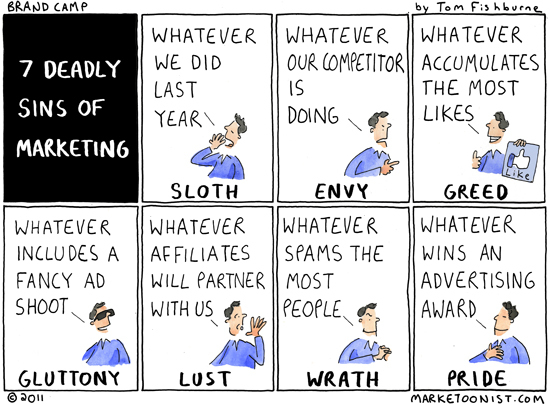 Now that we've delved into what is marketing, let’s look at what isn’t marketing. Marketing is manipulation: If only I had a dollar for every time I heard this, I wouldn’t be writing here but anywho. Everyone assumes marketing is all smoke and mirrors- that marketing creates unnecessary needs and wants, and it’s meant to mislead customers into buying things they wouldn’t otherwise, and into paying more for them, too. Marketing is superficial: The fancy jingles that get stuck in your ear, the luxurious packaging to ensure that the product is indeed superior, or worse, exploiting fear to make sales. Marketing is an art, not a science: This is what people say when they don’t want to do any number work. Funnels and conversion metrics don’t lie. Marketing isn’t as abstract as people make it to be. Marketing is not what it used to be, with the introduction of digital marketing, it's hard to overstate the importance of marketing. Every type of business can benefit from the increased sales and heightened brand awareness that a great marketing campaign can offer. This one is a no brainer but it’s true. When people are aware of your company they’re more likely to become your customers. Depending on the type of product or service you’re selling you can start seeing engagement within the first month! 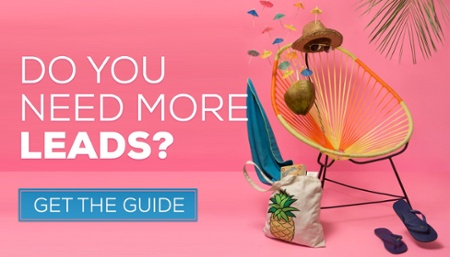 With online advertising platforms like Google Adwords or Facebook Ads, you can easily keep track of campaigns that are generating sales, and which don’t. In marketing, the brands you know of as consumers are among the awareness set. Once you’ve narrowed down your list to what you are likely to purchase, you have an evoked set. If I were to ask you to name 10 car brands, the names that came up are your ‘Awareness set’. If I were to say to tell you to list 3 car brands you’d consider buying, the final, narrowed list is your ‘evoked set’. Don’t feel bad if your marketing campaigns don’t drive increased sales right away, as raising awareness is often just as important. Repeat purchases by satisfied/delighted customers. The more satisfied your current users are, the more likely they are to repeat purchases - Another interesting thing loyal brand users do is promote your product for you. According to a Nielsen research, 92% of consumers trust recommendations from their friends and family who in turn are brand loyal consumers. Believe it or not, marketing can help you grow your business from local, national to international level. Marketing helps you understand what the customers want and how you can sell it to them. Product development strategy: introduction of new products in the existing markets or modern markets. Market development strategy: entering in new markets with the existing products or new products. Market penetration strategy: increasing marketing efforts in the current markets. It's apparent now that marketing is a crucial activity that every business has to undertake, from defining marketing functions to building a marketing plan but with the advancement in digital era, should you focus your marketing efforts on the traditional medium or digital? And let's see if we can integrate the two. 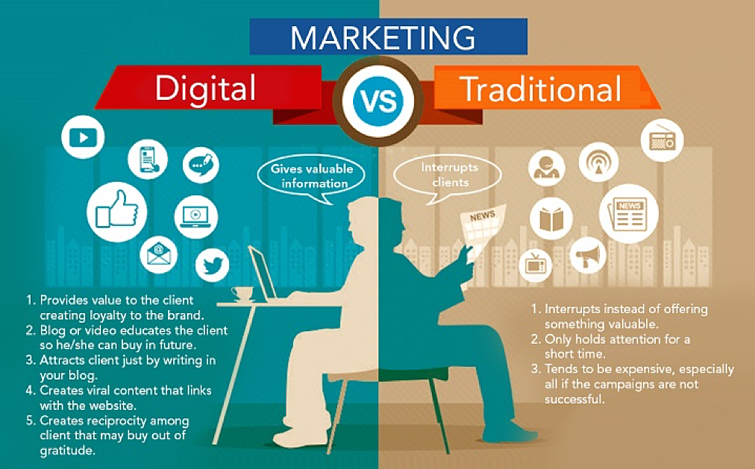 The debate continues whether digital marketing is surpassing traditional marketing or not. We can already see that for most part, it is. Ad spending on traditional media is decreasing, and it’s becoming less and less profitable to invest in it. 40.5 percent of all U.S. media spending is now digital. At this rate, the 50 percent mark might not be too far in the future. Are there any real advantages to using digital marketing over traditional means? And what is the big difference between these two anyway? Levels the playing field for all businesses: Digital Marketing offers equal opportunities to all businesses, especially small and medium enterprises that earlier didn’t have the resources to compete with big companies. Cost effective than traditional marketing: Traditional marketing is generally an expensive affair, from buying space in newspapers, TV or even radio compared to advertising online. How many website visitors are you getting? How many new leads are you getting? How many new customers are you getting? In traditional marketing, it’s tough to know who changed the channel during your ad, who was paying attention, how many people read your ad in the newspaper, or even opened your direct mail. To fully grasp the situation of how digital marketing has overpowered traditional marketing medium over the years, let’s look at it from a new angle. Do you still carry the phone you purchased 10 years ago? Most likely not, Traditional marketing is similar to that, it’s static, and only reaches a limited local audience. If you're still not sold on the idea whether digital marketing is the right medium for you, then check out our post on how to integrate traditional marketing with digital marketing. So, we’ve discussed how traditional media is dying and why digital marketing is the new norm. In order to be effective in your digital marketing plan, you must have a digital marketing strategy, sounds like a no brainer, right? Before you rush off to make your digital marketing plan, you need to understand the different types of media that you can incorporate. 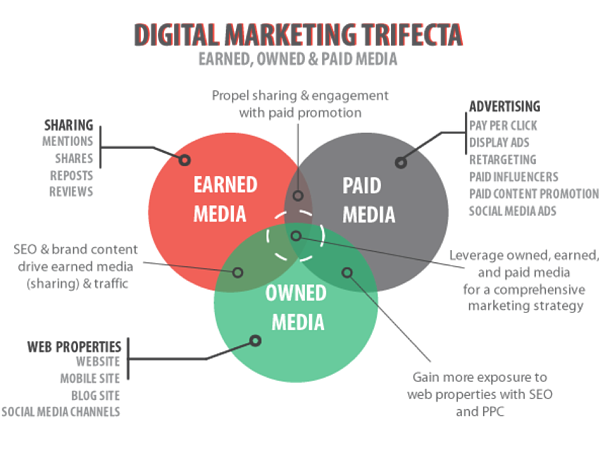 The trifecta of a great digital marketing plan includes: Paid media, earned and owned media. Think of earned, owned and paid media as a tripod. Each element is an important part of the whole and contribute to a complete digital marketing strategy. The illustration above outlines each elements role and how they work together to form a cohesive marketing mix. Earned Media: Earned media is the most sought-after media, of all three. This is the publicity you receive through efforts outside of paid media. It refers to an unpaid mention of your brand or recognition that could come from a news article, a review or a shout-out on social media from a customer. In other words, earned media is anything that is not generated by the subject and not paid for by the subject. Owned Media: Owned media is something you generate on a website that you control. It can consist of your website, social media, blog and so on. The more owned media you have, the more chances you have to extend your brand presence online. To be effectives at your owned media, you need to have a great content marketing strategy set up in place. Every day, more than more than two billion posts are shared on social media. That’s an insane amount of information we’re consuming. This means advertisements in particular are often overlooked in favor of content that is more relevant to the user, this has changed the marketing landscape. If content marketing is done right, it is inexpensive method and helps you get organic traffic. Paid Media: comes in various forms but it includes paying someone to post content about you or your company. Paid media is not to be confused with paying a publicist to garner earned media for you. Simply put, Paid or bought media are media where there is investment to pay for visitors, reach or conversions through search, display ad networks or affiliate marketing. Offline traditional media like print and TV advertising and direct mail remain important accounting for the majority of paid media spend. Let's dive deeper into the different digital marketing techniques. Ever wondered what are the different types of marketing and the influence of internet over "contemporary marketing", well buckle up because we're going to break it down for you. This is where you buy ads on search engines to get your page shown as the 1st, 2nd, or 3rd result. The most popular one is Google Adwords. SEM is a form of PPC (pay per click) marketing. You can bid for keywords and have your ads shown to a particular region/area. You can have your ads show at a particular time of the day. The best way to reach your customers is by solving their problems. Today, when people want to solve a problem, what they do first? That's right, they Google it. SEO involves optimizing your website using content and its backend code to rank higher on search engines like Google, Bing, and Yahoo. Google is the most popular search engine worldwide so it’s a good idea to go through their SEO guidelines HERE. Even if you've never used social media to market your business I'm pretty sure you have personal social media profiles. At least Facebook and Linkedin. Social media marketing involves publishing and promoting on your business social media profiles to get attention, increase awareness in the market for your business, and generate leads and customers. The modern form of print advertising or classifieds. Display advertising uses banners, texts, logos, animations, interactive elements, and so on, to convey a commercial message visually. Google AdWords display ads appear on over two million websites and in over 650,000 apps, so your ad can show up wherever your audience is. The idea is to display your ad to all your potential audiences across all devices. With an ROI of 3,800% (that's $38 in revenue for every $1 spent,) email marketing is one of the best converting marketing channels. By sending regular updates to your email subscribers you can nurture your relationship with them and build trust. People who trust you will buy from you. Mobile Marketing is an umbrella term for a multichannel strategy to optimize the way people interact with your business on mobile devices. 51% of all digital ad budgets in 2016 were spent on mobile. 80% of top Alexa websites were mobile adaptive. Have you ever clicked on an article that's labeled "sponsored content"? 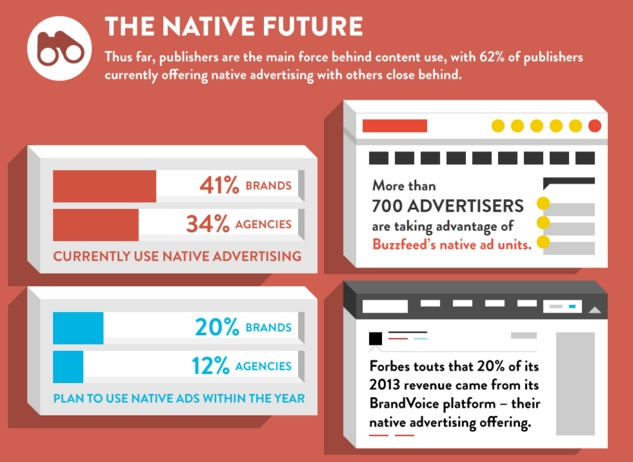 Native advertising looks just like any other piece of content on the website, except that it's paid for. Listen to our podcast, the 7 pillars of online marketing and how you need to make them all work together to achieve marketing success. It talks about everything I mentioned above and more. In the previous topic, we described the different types of media and the various types of digital marketing. So, naturally the next step is how to go about making a marketing strategy. But here's the thing, a lot of people confuse marketing plan and marketing strategy as one thing and we're gonna tell you next why they're not the same. Although “plan” and “strategy” are often used interchangeably, they mean two different things in the world of marketing, and they’re both equally crucial to the success of your business. 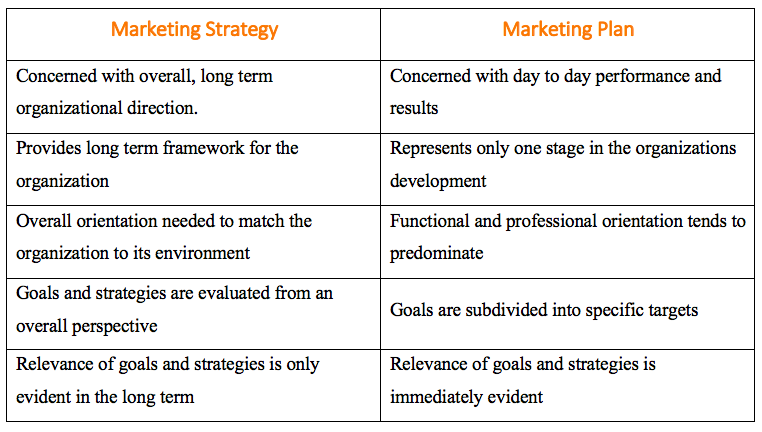 So, how is a marketing strategy different from a marketing plan? For starters, you probably already have a marketing plan, but you might not have a strategy. So, let’s begin by defining what marketing plan and marketing strategy is. Providing market research to support pricing decisions and new market entries. Tailoring the main messages to different demographics and geographic areas. Selecting the platforms for promoting the product or services - digital, radio, internet, trade magazines and the mix of those platforms for each campaign. Setting up the success metrics and the results reporting timelines. A marketing plan is based on a company’s overall marketing strategy. A marketing strategy is a business's overall game plan for reaching people and turning them into customers of the product or service that the business provides. The marketing strategy of a company contains the company’s value proposition, key marketing messages, information on the target customer and other high-level elements. The marketing strategy informs the marketing plan, which is a document that lays out the types and timing of marketing activities. A company’s marketing strategy should have a longer lifespan than any individual marketing plan as the strategy is where the value proposition and the key elements of a company’s brand reside. These things ideally do not shift very much over time. Your implementation consists of: Taking action to achieve items identified in marketing strategy and marketing plan. Now that we've covered the difference between Marketing strategy and Marketing plan, let's look at how you can utilize them all into making the perfect campaign. Inbound marketing as defined by Hubspot, is a type of marketing focused on attracting customers through adding value at every stage in their purchasing decision process. Unlike other types of marketing, where brands compete for their consumers’ attention, inbound marketing relies more on consumers finding you! According to Inbound Marketing Agents, 32% of brands are reducing their outbound marketing budgets in favor of inbound marketing. 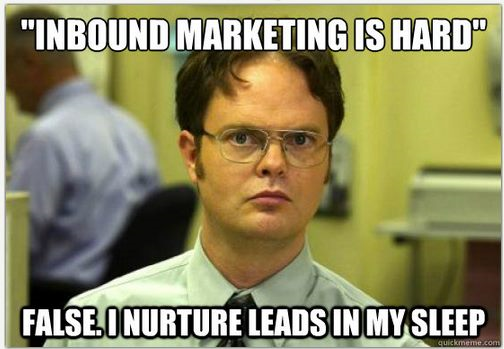 But how exactly can inbound marketing help you? The good old fashioned marketing funnel doesn’t have the relevance it used to. The traditional linear marketing funnel is a mess, that's why we now have Inbound Marketing Funnel. An inbound marketing funnel is a model of your sales and marketing activity that captures 4 key stages of activity across a customer's lifecycle with your business (Attract, Convert, Close, Delight). 1. ToFu in inbound marketing refers to the top of the funnel. With 85% of your website visitors falling into this category, it's important that you not only know who they are, but what they're looking for. They’re classified as learners because they’re just aware of their problems (Pain Point) and checking out different solutions or alternatives to it. These visitors are just browsing and are very rarely ready to purchase at this stage. TOFU tip: Want to attract more ToFu visitors? Don’t provide too sales-y messages. Provide helpful and relevant information about the problem they're facing. 2. 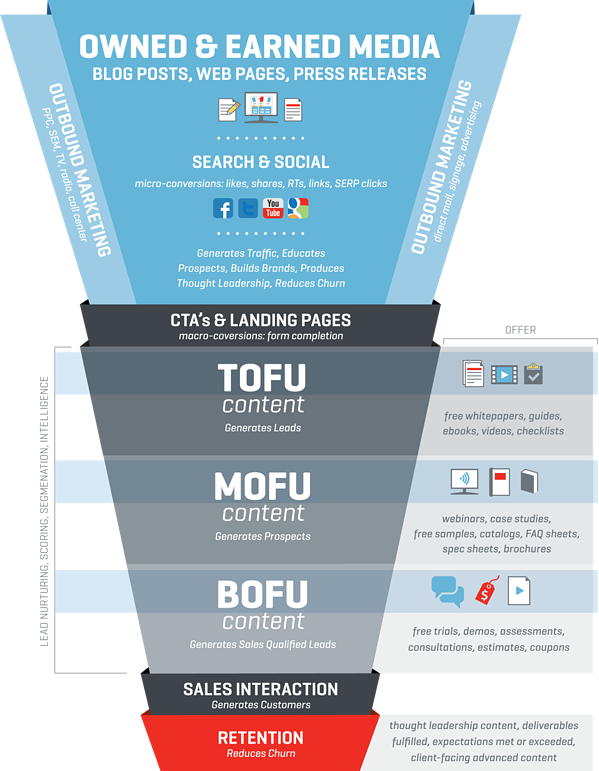 MoFu in inbound marketing refers to the middle of the funnel. The visitors who make up the middle of the funnels are the ones we like to call, "shoppers" and they represent 10% of your overall website traffic. So now they’ve done some research for their problem and have narrowed down it down to a list of potential solutions. At this stage they’re actively looking at all their options and comparing them. But mind you, they’re still not ready to purchase yet. They're looking for more specific information about products and services, even if they aren't ready to spend today. MOFU tip: Give them everything they need to make the most educated decision by providing valuable offers in exchange for their information. Keep in touch with them, they're one step closer. 3. 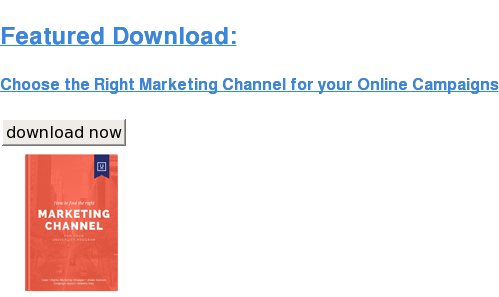 BoFu in inbound marketing refers to the bottom of the funnel. With less than 5% of your website visitors fall into the bottom of the funnel, the "buyers" are the rarest of visitor, but also the more profitable. These are the customers that have done their research, narrowed down their choice and are now ready to purchase. So, make sure you keep your sign up process easy. BOFU tip: Offer free assessment, evaluation or trials in this stage to persuade your customers into purchasing. Look at the image above to see how owned media and earned media integrate together to make the inbound marketing funnel a success. Now that you know What is Inbound Marketing and Inbound Marketing funnel and why there's a growing demand for marketers and agencies to switch from their Traditional marketing means to Inbound Marketing, let's look whether you're ready to handle your marketing in-house or not. Thanks to the internet, marketing has evolved over the years. Consumers no longer rely on traditional means of marketing aka outbound marketing – to learn about new products and services, because the web has empowered them. It's given them alternative methods for finding, buying and researching brands and products. The new marketing communication — inbound marketing — has become a two-way dialogue, much of which is facilitated by social media. Another reason why inbound marketing is winning is because it costs less than traditional marketing. Why try to buy your way in when consumers aren't even paying attention? Here are some stats from the infographic below. 44% of direct mail is never opened. That's a waste of time, postage and paper. 84% of 25 to 34-year old’s have clicked out of a website because of an "irrelevant or intrusive ad." 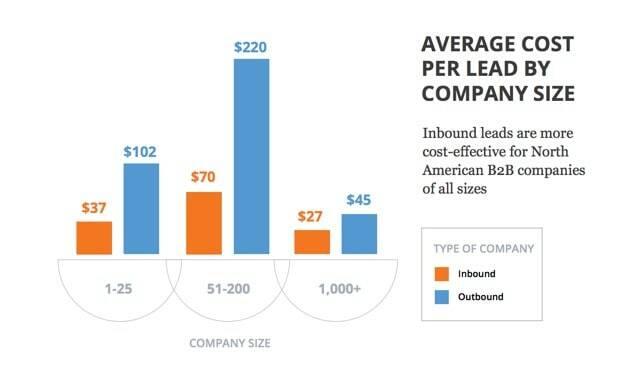 The cost per lead in outbound marketing is more than for inbound marketing. Now there are 3 possible ways you can go about using in-house or outsource depending on your need. Are you set on having an in-house marketing team that deeply understands your corporate goals? Then make sure you have copywriters, search engine optimization specialists, content managers, web designers, social media managers and market analysts and so on for your new marketing team. Also, realistically in most cases, your marketing team won't operate at peak efficiency for up to a year – or longer. When you’re running an SME in Dubai, time is a precious commodity, nobody expects you to be good at all the aspects of running a business. Specially if your core business activities differ from the traditional one. You have in-house teams dedicated to that channel but do not have a large backlog and need to determine your future plans for that channel and build out your backlog. Your HR is incapable of head hunting the right people to fit what's happening within the company already. Lastly, as a business owner, you’re looking for ways to be successful in the market. It’s only natural that you end up comparing how your business is doing to your competitors. In fact, as tempting as it is to devote all your time and energy into focusing what your competitors are doing it’s even more productive to focus on how you’re doing internally. If you truly want to crush your competition and better serve your market, here are some marketing strategies on how to blow your competition away. Compete with who you were yesterday: The most important rule first is to compare yourself internally, that is, see how your company performed and progressed over time. Benchmarking your performance to your competitors will only yield negative results if you don’t know if the problem can be internally fixed or not. Change your pricing: This is the most common tactic used in marketing and sales, but it still holds ground. By changing the prices of your goods and services you’re opening doors to a new market segment. But how do you price your products and more importantly how do you successfully position yourself in the market. 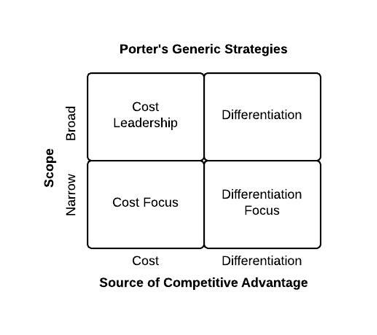 Let Porter’s generic strategies help you find the sweet spot. Emphasize on your products key benefits: All the jazzy ads and the bling won’t help you if you fail to emphasize on your products key benefits. Digital marketing is winning over Traditional marketing. More than 80% of shoppers/buyers do their research online before investing in a product/service. When it comes to different types of media, each element is an important part of the whole and contribute to a complete digital marketing strategy. A quick recap: There are different types of marketing, learn how to use them effectively in your marketing strategy. Know that you as a company/brand don’t have to be on every digital marketing medium, select the platforms where your audiences are more likely to be. Check out our blog post on How to choose the best social media platform for your business. Most businesses don't know when to handle their marketing in house, use this guide to learn if outsourcing is the right choice for you. Follow the do's and don'ts of marketing to crush your competition. Kudos to you for making it till the end, I must say I'm impressed, this blogpost turned out to be a primer in Marketing! You've learnt quite a lot today, about what is and isn't marketing, the common myths, Importance of marketing, Traditional vs. Digital Marketing, the different types of media and 7 types of digital marketing, then we covered the difference between Marketing strategy and Marketing Plan (PS: they're two different things!) And then we went over Inbound Marketing, Inbound Marketing Funnel, we discussed whether you're ready to take your marketing efforts in-house and if not, when to outsource your marketing efforts and lastly we wrapped it up by covering the do's and don't of marketing: How to stay ahead of your competitors. Check out our blogpost Digital Marketing Starter kit for UAE Businesses to learn more about what digital marketing is, its components, and how it solves many of the problems facing marketers in Dubai. We have put together an Ultimate Guide on Lead Generation. It's got the 30 greatest tips, tricks and ideas on how to generate leads from your website and digital properties. Junior Copywriter at Ubrik Media.